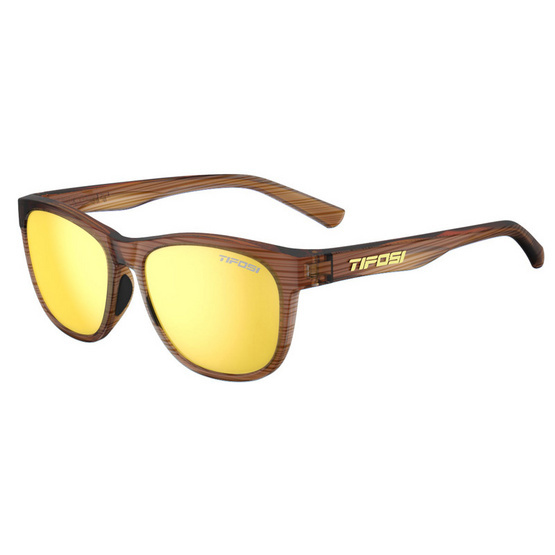 Smoke Yellow - reflective lenses perfect for cycling, running, and active sports when the sun is high and the sky is a deep blue. The neutral tint of smoke lenses prevent color distortion. Made of Grilamid TR-90, a homopolyamide nylon characterized by an extremely high alternative bending strength, low density, and high resistance to chemical and UV damage. Hydrophilic rubber earfor a no-slip fit.